Results of a study of some special features of gasless burning in ternary Ti — Si — C, Ti — Si — N, and Ti — B — N systems are presented. 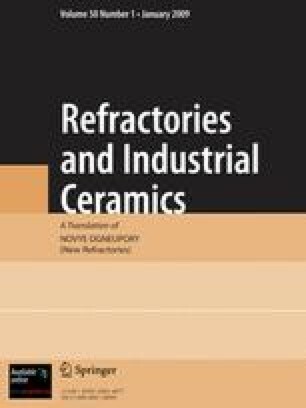 The optimum concentration regions for fabricating ceramics based on the Ti3SiC2 phase in combustion are determined. It is recommended to use nontraditional components for fabricating nitrides, borides, and silicides. A study of the dependence of the rate and regime of combustion of Ti — SiC mixtures on the density has shown new kinds of unsteadiness of the combustion front that appear due to the increase in the porosity of the reaction mixtures. In order to obtain a high porosity in the reaction mixtures and the products, an experiment has been performed under the conditions of microgravitation of the Mir orbital probe.